Last week’s scheduled economic news included the NAHB/Wells Fargo Housing Market Index, Housing Starts and Existing Home Sales. FOMC meeting minutes were released along with weekly Freddie Mac mortgage rates and weekly jobless claims. In addition, the National Association of Realtors® suggested that FHA should lower its mutual mortgage insurance premiums (MMI) as its fund for paying claims has normalized since recession. The National Association of Home Builders/ Wells Fargo Housing Market Index achieved a reading of 58 for November. This was two points higher than the expected reading of 56 and four points above September’s reading. This was the fifth consecutive month of readings above 50. Readings above 50 indicate that more builders are confident about housing market conditions than not. Components of the index improved with builder confidence in present sales of new homes up 5 points to a reading of 62, confidence in sales over the next six months rose by two points to 66, and the reading for prospective buyer traffic rose four points to 45. Housing starts were lower by 2.80 percent in October at a seasonally-adjusted rate of 1.01 million against an expected reading of 1.03 million and September’s reading of 1.04 million homes started. October’s reading was affected by a 15.50 percent drop in multi-family construction, but single-family home construction increased by 4.20 percent. 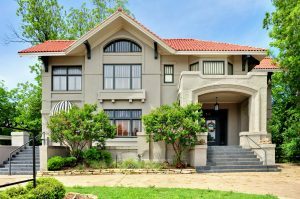 Analysts noted that the multi-family sector is notoriously volatile. The National Association of Realtors® reported that the seasonally-adjusted annual rate of existing home sales for October exceeded the expected reading of 5.15 million with 5.26 million existing homes sold. October’s reading also surpassed September’s reading of 5.17 million previously-owned homes sold. October’s reading represented a 1.50 percent increase over September sales of existing homes, and was the highest reading since September 2013. The median price of previously-owned homes rose to $208,500 in October, which represented a 5.50 percent increase year-over-year. The inventory of homes for sale is higher with a 5.1 month supply of homes available, which was a year-over-year increase of 5.20 percent. Higher inventories of homes available and low mortgage rates were seen as factors contributing to more home sales. Kevin Kelly, chairman of the National Association of Home Builders and the National Association of Realtors® called for the FHA to lower its mortgage insurance premiums. The cost of FHA loans, which require borrowers to pay an upfront mortgage insurance premium and annual premiums that are pro-rated and added to monthly mortgage payments, were seen as an obstacle to first-time and moderate income homebuyers. This request was based on a report that indicated the FHA fund for paying mortgage insurance claims is in the black for the first time since 2011. Freddie Mac reported that average mortgage rates fell across the board on Thursday with the average rate for a 30-year fixed rate mortgage lower by two basis points at 3.99 percent, and the average rate for a 15-year fixed rate mortgage lower by three basis points at 3.17 percent. The average rate for a 5/1 adjustable rate mortgage dropped by one basis point to 3.01 percent. Average discount points remained the same for all loan types at 0.50 percent. The Commerce Department reported that new jobless claims fell to 291,000 from the prior week’s reading of 293,000. Analysts expected a reading of 280.000 new jobless claims, but this was the tenth consecutive week of readings for fewer than 300,000 new jobless claims. The four-week rolling average of new claims rose by 1750 to a reading of 287,500. The four week average reduces the volatility of weekly jobless claims and provides a more accurate reading of unemployment trends. 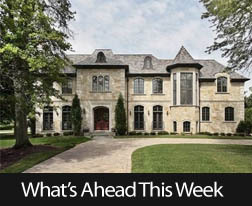 Next week’s scheduled events include the Case-Shiller 10 and 20-City Home Price Indices, FHFA’s House Price Index and New and Pending Home Sales reports. There are no reports set for Thursday or Friday due to the Thanksgiving Holiday. This entry was posted in Market Outlook and tagged FOMC, Freddie Mac, Housing Market Index, Market Outlook, NAHB by BJ Kirkpatrick. Bookmark the permalink.